Max Lucado's book of the Nativity's immense hope is now available in paperback for you to re-discover, or to give away. Want to renew your love of Christmas? Because of Bethlehem there is hope in the world. Because of Bethlehem, Max Lucado was inspired to write a book signing of his love for every little bit of the Christmas period: the decorations, the food, the presents, the carols, the candles, the lights and nativity stories of managers and angels and baby Jesus. Because of Bethlehem we have all the festivities and celebrations. Because of Bethlehem it is simple more than just trimmings and tinsel to celebrate. We have a saviour in heaven, a hope for the earth, and the same wonderful news we celebrate at Easter that can often go forgotten. 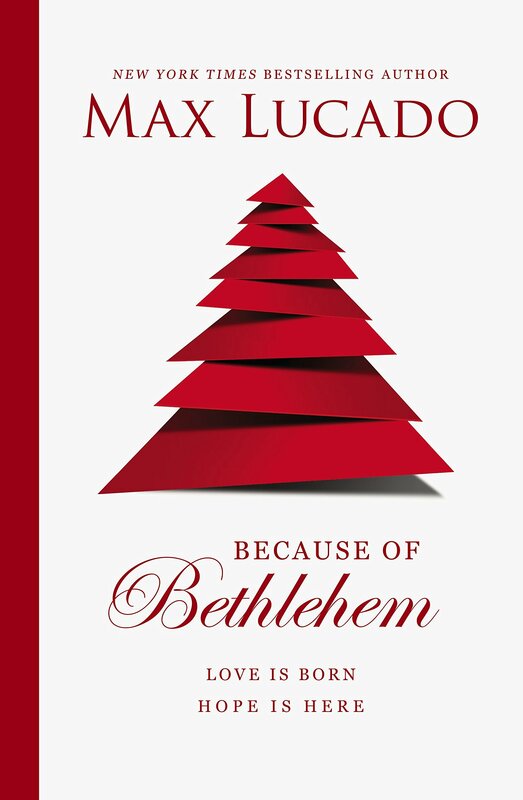 Because of Bethlehem by Max Lucado was published by Thomas Nelson in October 2016 and is our 2729th best seller. 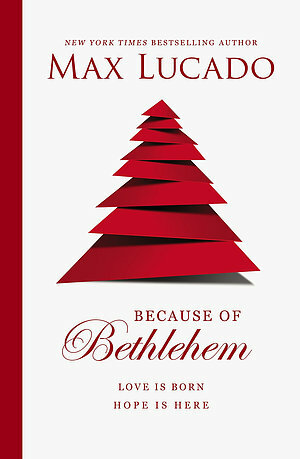 The ISBN for Because of Bethlehem is 9780718086008. I like a lot of other people, if they are being honest go along with the crowd decorations, expensive gifts, more food than we can eat. Since getting this book I have not put it down. Because of Bethlehem brings your heart and your eyes back to the baby born in a manger and puts Christ back into Christmas. Take a peek at some articles related to Because of Bethlehem. Got a question? No problem! Just click here to ask us about Because of Bethlehem.